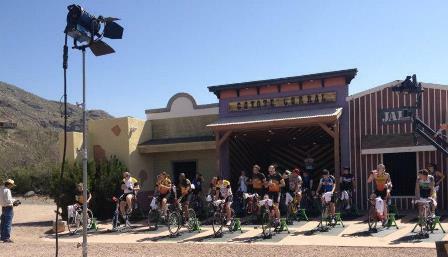 This past weekend, Great Harvest sponsored a Spinervals triathlon training camp with Coach Troy Jacobson. Troy and I have worked together for close to ten years now but this post isn’t about training. It is about what it takes to succeed. Troy says that he sees incredibly common traits between successful athletes and successful entrepreneurs. I agree. Here are some traits he and I see in both athletes and business leaders. They understand that they are ultimately responsible for what happens in their lives. They have high standards. They believe they can and will succeed. And, very importantly, they have passion. They get out of bed each day with a purpose and a clear vision for what they will do. They are goal oriented, take managed risks and are leaders in their community. They don’t make excuses. Every successful bakery in Great Harvest is owned by someone with these traits. And, more than any other franchise we know of, Great Harvest and the freedom business model are uniquely positioned to enable effective business leaders to succeed. 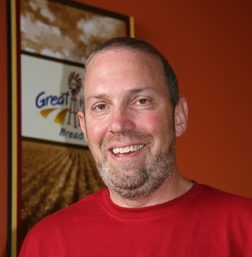 Great Harvest is about tasty, healthy, fresh, good for you, whole grain products served in a fun environment. How does each local business owner execute that vision? They have standards for quality to make sure that the wheat in our products comes from sustainable, domestic, family owned farms. They have standards to make sure what you get is tasty. They are committed to breads that are good for you. They insist on local ownership so that you are dealing with someone who cares about you and leaves the success of the business in your neighborhood. We believe in these same things. To succeed in sport, as well as business, we all need that focus. As an aside, while at camp, we shot Spinervals videos 45.0 and 46.0. We worked out in the hot, Arizona sun for 5 hours of video (which takes about 7 hours to shoot). If you have ever thought something like that was easy, forget it. If you want a serious program to get you in shape for your next endurance event, I highly recommend the Spinervals series and Coach Troy’s plans.